A loan of $1,850 helped to maintain his plot of coffee and cocoa and combat the pests. Balentin, 50 years old, has 6 children and is married. For 25 years, he has worked in agriculture, growing coffee and cocoa, producing and, specifically, his primary objective is to improve to offer a better product to his customers. For this, Belentin asks for his loan through Kiva to maintain his plot of coffee and cocoa and combat the pests. As a second job, Balentin works as a mason, to get more income. He considers himself to be a good and trustworthy person with aspirations and he is proud of his children and he has as a challenge that they all get ahead and continue studying. Translated from Spanish by Kiva volunteer Wendy Harris. View original language description. Balentin de 50 años, tiene 6 hijos y esta casado. Hace 25 años se dedica a la agricultura, cultivar café y cacao, producir y sobre todo mejorar para brindar un mejor producto para sus clientes es su mayor objetivo. Es por ello, que Balentin solicita su crédito a través de kiva para brindar mantenimiento a su parcela y combatir con las plagas. Como segundo trabajo, Balentin se dedica a ser albañil, para lograr mayor ingresos. Se considera una persona buena y de confiar, con aspiraciones y se siente orgulloso de sus hijos y tiene como reto que ellos salgan adelante y sigan estudiando. It schedules repayment rates based on the harvest season to put less pressure on farmers' families. This loan allows rural Peruvian farmers to purchase agriculture inputs and access business and financial trainings. By supporting this loan, you are helping empower a farmer with the services needed to improve their harvest and provide for their family. COOPAC Microfinanzas Prisma provides loans to people in the most underserved segments of the Peruvian population. Kiva supports these loans to provide borrowers with working capital, savings accounts, a variety of trainings and micro-insurance to sustainably impact their livelihoods. 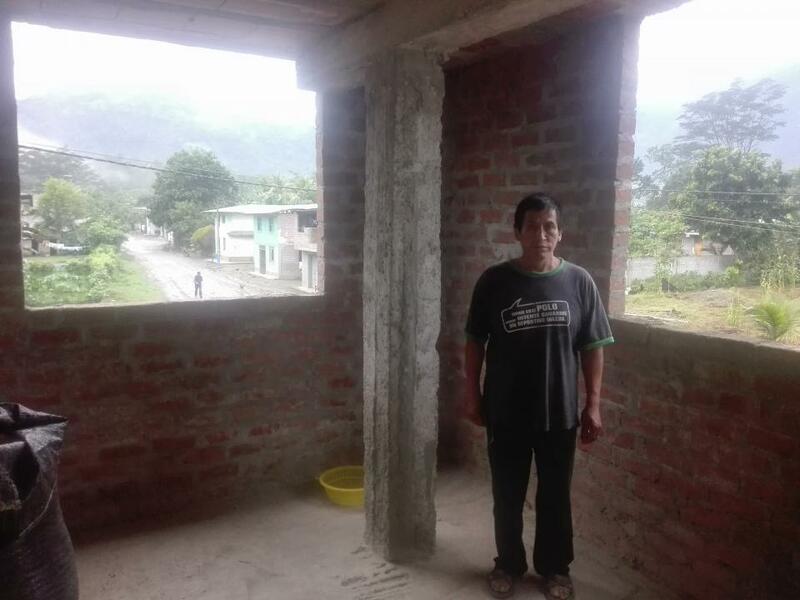 Kiva supports COOPAC Microfinanzas Prisma’s work to increase access to financial services, fair housing and improved agricultural practices.